As promised, it’s now time to debunk the myths that surround Mallika Sherawat. If she’s reading this, I am sure that she’ll appreciate the fact that I have taken the pains to clear a few ‘confusions’ about her. First of all, it’s quite mystifying how Mallika has been able to trigger off a string of myths around her, especially as she claims to be person who speaks her mind and not afraid of calling a spade a spade. Instead she seems to have made a career out of making self-contradictory statements, and you always can’t blame the journalists for that. Some of these claims, relentlessly pushed by PR machinery, have turned out to be false. And some of those lies have been documented on camera, the interview at Cannes being the latest. Here is the infamous Cannes interview again. It is pertinent to mention here that Mallika is still unapologetic about the interview she gave to Variety and maintains that she stands by what she said. Do you agree with her? Reality: There is no evidence that Mallika Sherawat was even born there. Her family originally hails from a village called Alakhpura which is about 32 kilometres from Bhiwani in Haryana. The elders in the village don’t remember Mallika visiting or spending her childhood there. She has, in fact, spent her entire childhood in Delhi and there is enough evidence to support that. There was no question of running away to Delhi and staying with a friend. Mallika is essentially a Delhi girl, and her family (and extended family) has a few properties out there. She has no real connection with Rohtak, except perhaps a few cousins or relatives living there. There’s nothing small town about Ms Sherawat. Her father was posted in Hisar and Narwana at some point of time, but he decided against keeping Mallika there for her studies and promptly moved her to Delhi. Reality: Mallika comes from a wealthy Jat business family. Mallika’s great great grand-father was a well-known broker (Dalal) in Kolkata during the 1850s. He was, in fact, so famous in the Kolkata business circles that even the Britishers referred to him as Sir Sheth Chhaju Ram (no, he was not knighted). Later he got into the business of jute in Kolkata and met with immense success. He was a philanthropist too and set up a lot of educational institutes in Hisar and Kolkata. The famous Jat Education Society in Hisar was established by Chhaju Ram. Mallika is the grand-daughter of Sir Ram’s younger brother, Trikha Ram. Mallika’s father is Mukesh Lamba, a retired senior engineer of the state irrigation department in Haryana. He is the great grandson of Trikha Ram. Mallika’s family is one of the richest families from the region, and enjoys a lot of goodwill in the neighbourhood. Reality: Mallika was shifted to New Delhi from Hisar during the pre-primary stage and she never went to any village school. She has been in Delhi throughout and led quite an independent life and her family supported her decisions at every stage. She has been a student of Delhi Public School (which is on Mathura Road). The school documents Reema Lamba as their student right from junior school. Mallika’s father has admitted that Mallika used to visit their haveli in their village but that wouldn’t be as frequent as every year or even once in two years. The extended family of Mallika who stay in Rohtak are the one of the wealthiest farmers there with considerable social prestige. She says that she has a degree in philosophy from Miranda House in Delhi but that fact has never been cross-checked. Mallika had a normal childhood that most of us had in a city like Delhi and Mumbai. She has always lived in luxury and was given the best education in Delhi. Her family always had the money to meet her lavish expenses whether it is her education or career. There was nothing ordinary about her childhood because she was always the pampered child of the family. She was pampered and indulged like any rich kid in India. Reality: Mallika got married in the last year of her college. During her brief stint as an air-hostess, she got married to a Jat boy after dating him for nearly two years. I am withholding his name as he is happily married with a kid. He used to be a commercial pilot. Her in-laws treated her like their own daughter and there were no problems except for the fact that her mother-in-law never approved the fact that her bahu aspired to be a model and an actress. One day Mallika chose to get up and run away from her in-laws and husband. She has never spoken about her marriage till date. By the time she entered the film industry, she was divorced. She never really struggled in the film industry. She used to do a lot of ads before she got her first film. She did an ad with Amitabh Bachchan right after she landed in Mumbai for a brand called BPL. The ad was never released. Later, she did a blink-and-miss appearance in a car ad with Shah Rukh Khan. Soon she got a film offer. So, where is the struggle in that? Here are some pictures of Mallika when she was an air-hostess and another picture purportedly of her marriage. There are also pictures of her when she just started out as a model. Reality: Mallika does not have a mainstream Hollywood film to credit. She has acted in a film called The Politics of Love,which released only in the Unites States, and was not considered a mainstream Hollywood release. One of the producers of this film was an Indian called Govind Menon, the same man responsible for introducing her in Bollywood with Khwahish. The film didn’t have any A-list Hollywood star. Here is a still from the film The Politics of Love (on the right). The other ‘Hollywood’ film Hisss directed by Jennifer Lynch never really remained Jennifer’s film and she walked out during the post-production of the film. After Jennifer walked out, the film ceased to be a Hollywood production. The film was promoted and released by Mallika’s brother along with the same team that released The Politics of Love. Hisss bombed everywhere. Lynch went on record to disown the final product of Hisss. Mallika is yet to star in a true Hollywood film. was produced and released in Hong Kong. 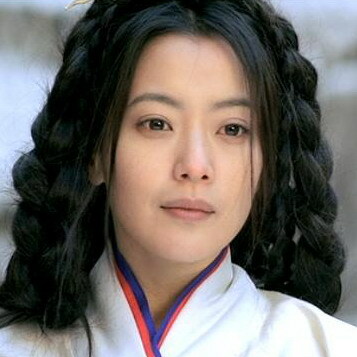 The film’s heroine was Kim Hee-Sun. It was big hit in Hong Kong and it had a limited release outside of Hong Kong. It was not a Hollywood film. There are more such myths to debunk, but the above mentioned will suffice. As long as you get the point – that when it comes to Mallika and her claims, it needs to be verified, or else you’ll be left staring at a blank page. Before we leave, we leave you with a funny video of Mallika Sherawat dancing with Hollywood star Antonio Benderas at a nightclub. Antonio seems to be clueless about how to dance with Madame M. Look how awkward his moves are! Thanks for these. We would have never known other-wise. Hopefully there will be a part 2 of this article.